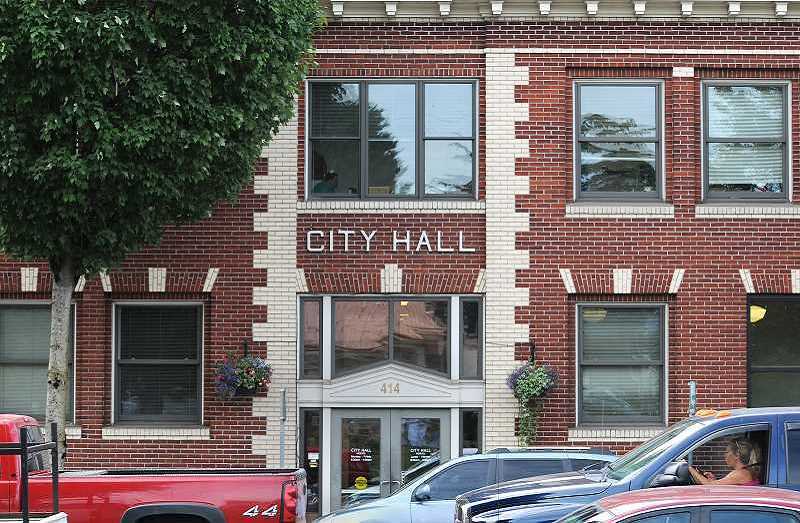 A lawsuit against the city of Newberg claiming hiring discrimination got a bit of a boost in late August thanks to a Yamhill County judge. Greg Patton, an African-American, filed suit in November 2017 claiming he was racially discriminated against in 2016 when he applied for a position as a human resources assistant with the city. City administrators have argued that Patton was passed over for the position because they found a better-qualified applicant, Jennifer Ortiz. She was subsequently hired but is no longer with the city. The attorney representing the city, Andrew Campbell of Salem law firm Heltzel Williams PC, filed for summary judgement in mid-July, arguing that "the record in this case lacks any reference of racial discrimination." Summary judgement can be granted by the court when the judge is satisfied there are not material issues of fact and the defendant is entitled to judgement as a matter of law. Instead, Yamhill County Circuit Court Judge John Collins found in favor of Patton on Aug. 30, writing "The court finds a material of fact and denies defendant's motion for summary judgement." As such the case will continue; the next step is set for Friday, when Collins will hold a hearing to check the status of the case. In a response to the city's motion for summary judgement, filed Aug. 15, Patton's attorney, Sean Riddell, reiterated allegations that the city hired Ortiz despite his client being more qualified for the position, that the city's HR director altered documents pertinent to the case, that the city destroyed evidence, and that electronic documents were not backed up as per protocol. Riddell likened the court finding against a motion for summary judgement to the popular board game Clue in that Patton and himself don't have to prove that the "crime" happened with a candlestick in the library, but that there was indeed a crime and there were sufficient material fact to go forward. Campbell said that while he appreciated this newspaper's interest in the case, "We do not comment on pending litigation." Riddell reported that the discovery phase of the lawsuit will continue a few more weeks and that although no trial date has been set, he expects it will go before a judge or jury sometime in 2019. The lawsuit stems from Patton's July 2016 application to the city, where he argued through Riddell that he was discriminated against because of his color and that he was more qualified than Ortiz. The half-time position paid $33.83 an hour and was filled in fall 2016. "There is sufficient information and belief to allege that the candidate the city hired did not meet the minimum qualifications and was not of African-American descent," Riddell said in a November 2017 court filing. Ortiz is identified in court records as being of Asian descent and was working toward an accounting certificate at Portland Community College at the time of her hiring. She has a background in municipal government, including stints as an accounting specialist for the city of Wilsonville and finance technician for the city of Sherwood. Patton has a background in human resources as a parole and probation supervisor in community corrections at Clackamas County. He has an associate's degree in criminal justice from PCC and a bachelor's degree in human resource management from George Fox University. However, in responding to the lawsuit, the city argued that the job posting clearly indicated that education was just one of the criteria for qualifying for the position and that Riddell and Patton are not taking into account all of the criteria. In May 2017, City Attorney Truman Stone sent a letter to the Bureau of Labor and Industries (BOLI) to that effect. "A review of the complete position description will show that Mr. Patton is intentionally misleading your agency by selectively including only a portion of the listed minimum qualifications for the position under education and experience," Stone wrote. The position description in the city's job listing did indeed say a degree is preferred, but also added "Considerable experience of a progressively responsible nature in work involving human resources organizational management and operations" and "Any satisfactory equivalent combination of experience and training which ensures the ability to perform the work may substitute for the above." Patton claims the city altered the announcement for the position, adding after he applied the proviso that work experience would be weighted equal with a degree in human resources. He further claimed that the city altered the applicant scores rendered by the committee that interviewed the two candidates. Human Resources Director Anna Lee commented during the hiring process that Ortiz's qualifications were sufficient for her to be hired for the position: "As stated in her resume and demonstrated in her in-person panel interview, she meets the qualifications for the human resources assistant position." While Patton received generally good marks from the panel that interviewed him, his recent job experience worked against him. "While Mr. Patton has a degree in human resource management from George Fox University, in the interview panel's evaluation he did not have current or progressive experience and training to perform the work as listed in the complete job description," Lee wrote. "Mr. Patton did meet the minimum qualifications. However, the panel scored him below the top candidate, Ms. Ortiz." Unsatisfied with the city's explanation, Patton and Riddell took their case to BOLI, but found no quarter there. Patton engaged in a complaint interview by phone in June 2017 with BOLI senior investigator Moayyad Knoshnaw, with Riddell sitting in. In the interview, Patton acknowledged that he had been referred to the position by Newberg-Dundee Police Chief Brian Casey and claimed that Ortiz was hired because she was friends with Lee when they both worked in Sherwood. He also claimed that two of the three people on the city's interview panel were former Sherwood employees. City records indicating the identity of the panelists were redacted. Ultimately, Patton argued, his race disqualified him for the job in the eyes of the panel. "I connect my race from the perspective that I am black and I am more qualified then the person they hired and that the qualification was not considered," he said. "They knew that she is a secretary and I did do human resources work." Patton insisted the panel was determined to hire Ortiz regardless of his qualifications, experience or race. "No, even a white person did not have a chance because of Ms. Ortiz's relationship with these people," he said. "If you look at the application process … you will find out that I was more qualified, but because I am a black man I could feel when I entered the room that I had no chance." The BOLI investigator was unconvinced. "This letter is to inform you that the (Patton) complaint filed with the Civil Rights Division has been dismissed because the division did not find sufficient evidence to continue our investigation," the notice from BOLI read. "This is the bureau's final determination. The city was similarly unimpressed with Patton's claims in an answer and counterclaim filed in November 2017 in Yamhill County Circuit Court. "Defendant (the city) has valid, legitimate, objectively reasonable, non-discriminatory and non-retaliatory reasons for all actions taken regarding the terms and conditions of plaintiff's employment, and such actions were not based upon any improper motive or take for any improper purpose," the counterclaim read. Patton is seeking a jury award of $100,000 in economic damages (lost wages and benefits) and $200,000 in "emotional distress and suffering" resulting from not being hired. The city, in its counterclaim, is seeking an undisclosed amount of attorney fees.